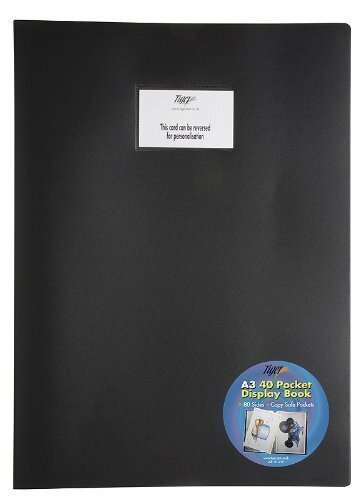 Pack of 4 Tiger brand A3 size 40 pocket flexible cover display book, black solid colour 400 micron cover. 40 micron glass clear pockets. Each display book packed in clear opp bag. If you have any questions about this product by Tiger Stationery, contact us by completing and submitting the form below. If you are looking for a specif part number, please include it with your message.